The Make Boxes from Muji. 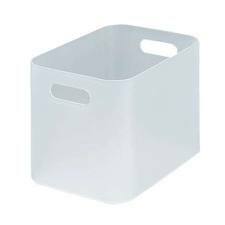 White translucent plastic, they come in a number of sizes, are stackable(! ), and have a limitless number of uses. 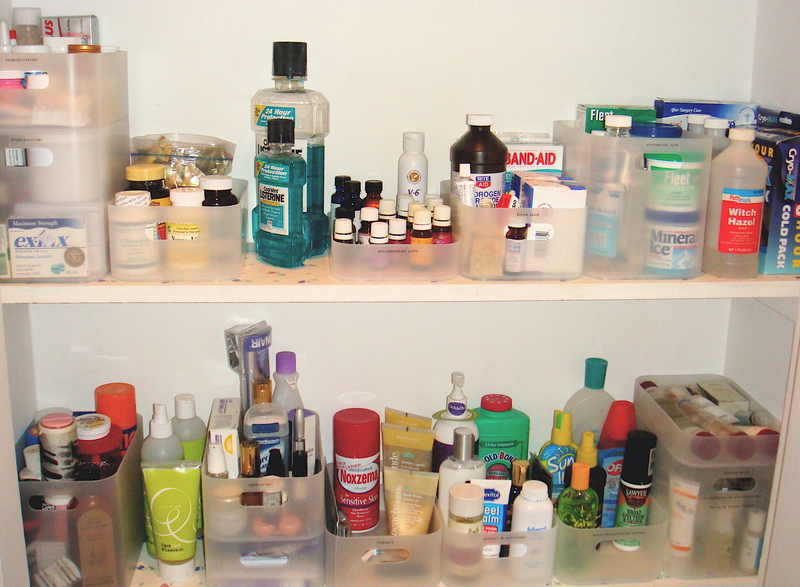 Use them all over; in the bathroom to sort products like in the above picture (with each bin properly labeled), the kitchen cabinet to hold medicine, in drawers to sort jewelry and office supplies… Sold at Muji stores. Remember, these are only tools; a devise used to carry out a particular function. They don’t make you any more organized than a hammer builds you a house. It’s the planning and consideration of a particular use for these tools that will help get you organized.